When we start looking at plot structure we almost always begin with the typical triangular structure. Also called the exposition. This is where we introduce characters and setting. You should try to identify the protagonist and other main characters as well as the antagonist in the story. With the setting, identify the time of day, time of year(season), time in history, and details about the location – place, social status. 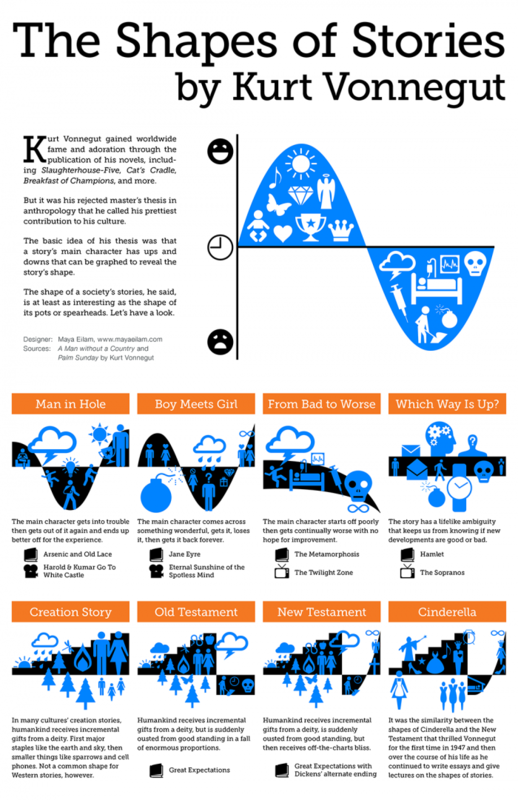 The rising action phase is when the story starts getting interesting. First identify the point at which the story transitions from exposition to rising action and introduce the primary conflict or problem. Identify major events that build toward the climax of the story. The climax is the major turning point in the story. Often the most suspenseful or confusing moment, the audience here is unsure how or if the conflict will be resolved. In action stories, the climax is the point when the audience doesn’t know whether the protagonist is alive or dead. The conflict is not resolved yet, but the story has definitely turned toward the resolution. The falling action phase includes the major events leading to the resolution of the conflict. Often a plot twist will be introduced during this phase to clarify the final outcome. The denouement is the unraveling of the story after the conflict has been resolved. Sometimes we will see what happened to the characters years later, or they just might return to their everyday lives. Make Up for Plot Structure Basics Day – Download and print two of the diagrams and fill them out completely while analyzing a TV show or movie. The first time through have it randomly fill in all the names so that you can see how it works. Take one of the story synopses it generates and plug the pieces into the triangular worksheet or electronic graphic organizer.